We have been evaluating the Rand McNally TripMaker® RVND™ 7710. Our favorite feature of the device is all the ways it can inform you about sights and services that are coming up in your route. We wrote about this in our previous article ‘What’s Up Ahead.’ Today, my topic is Multi-Stop Trips. With most standalone GPS devices, you get directions to a single place. The trip starts from where you are. You are asking, ‘How do I get from here to that single place.’ The RVND is one of the devices that allow you to plan and save trips with multiple stops. When you reach one stop the device notes that you have arrived at your first destination. When you turn it on the next time, it is ready to pick up where you left off and guide you to the next stop. 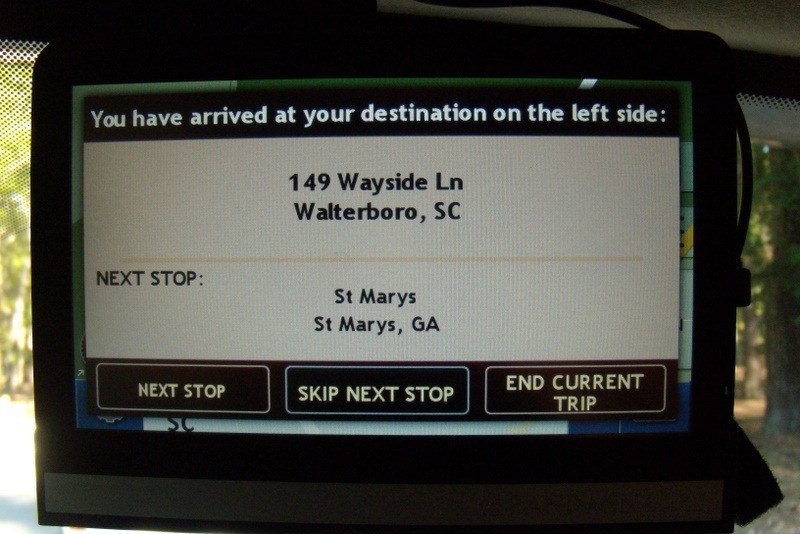 Here is a video that shows exactly how to create a multi-stop trip with the Rand McNally TripMaker® RVND™ 7710. Trouble watching this video? Try the Youtube version. Published by MrsGeek, in Maps/GPS, Show-Me Video. Tagged with GPS for multi-stop trips, GPS for RVs, Rand McNally 7710. Hi Chris, Thanks for the reviews on the RVND. They finally shipped mine last week and I am enjoying playing with it. So far, I am pretty impressed. I, too, really like the “What’s up ahead” stuff and the exit info. Another really neat feature is the fuel stop locations (Flying J, Pilot, etc) as well as the Walmart locations. The Walmart sites even list overnight limitations, if any, and will route you to any of them by adding them as a “via”. Campground info seems to be good. too. So far, the only glitch I have had is trying to set up the “dock” hookup to my laptop with the USB cable to get updates. Apparently the power requirement for the RVND through the USB port exceeds the capacity of my ports (500 ma) and generates bad errors and shuts down my computer, necessitating a reboot. The Customer Service response was that it is a problem with my computer settings but so far, I have not been able to resolve that issue. Yes,, thanks Chris fot the review. Jerry, I have run into usb power issues with other power hungry devices. It can usually be solved by using a powered USB port, hope this works with this one. Rand RVND7710. Neither have the screen resolutions I would like. I think the Rand offerer a little more, but the deciding fact was that the magellan had free traffic,, paid for with Ads. Several said it could not be turned off and it was a real problem.